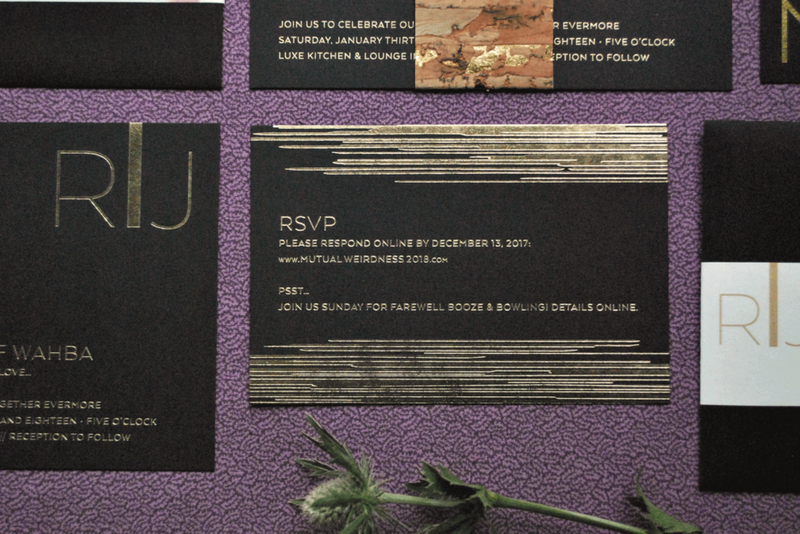 This modern wedding invitation suite is perfect for an event with a contemporary edge or an urban wedding. 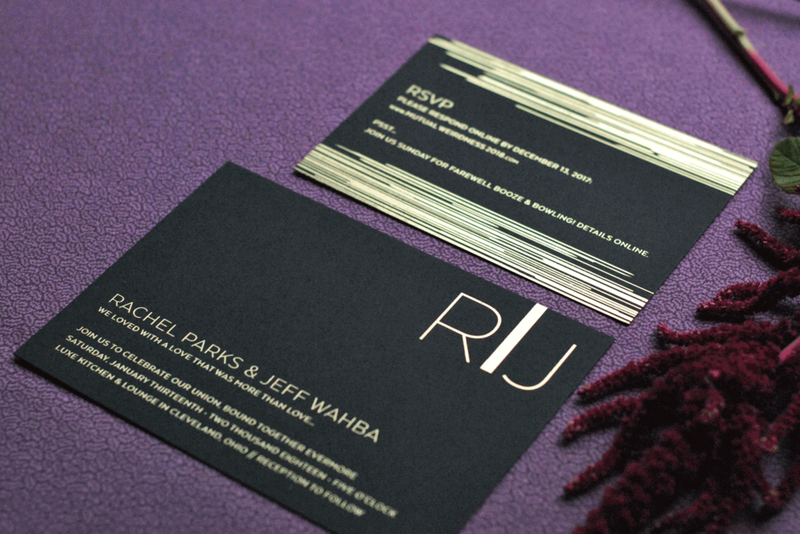 Ideal for foil printing, this design features modern typography with a bold monogram of the couple's initials. 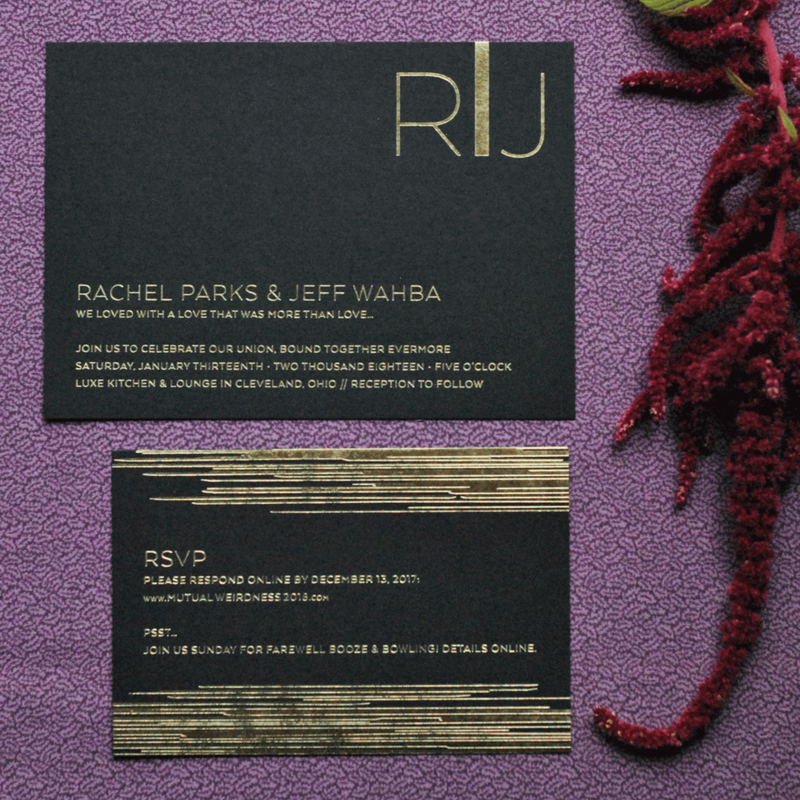 Gold foil on black cardstock set a high-contrast look and the couple's love affair with wine and literature were celebrated with a gold-flecked cork wrap and fun wording that referenced their favorite stories. 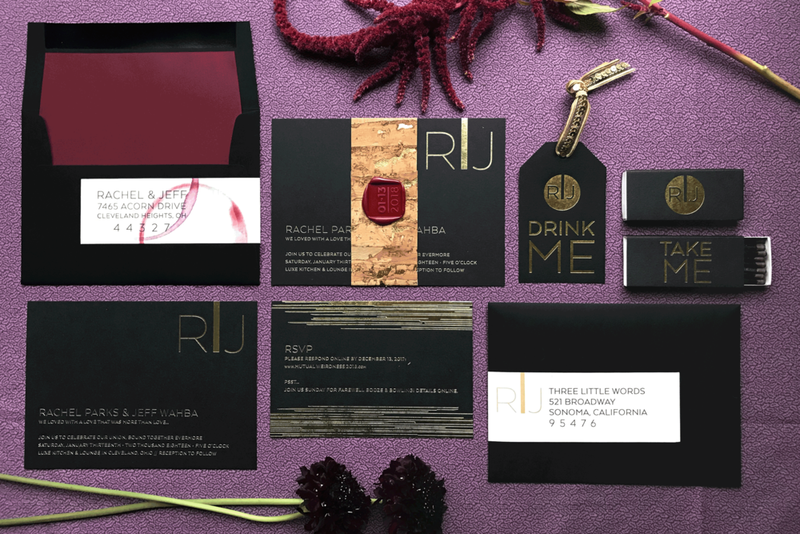 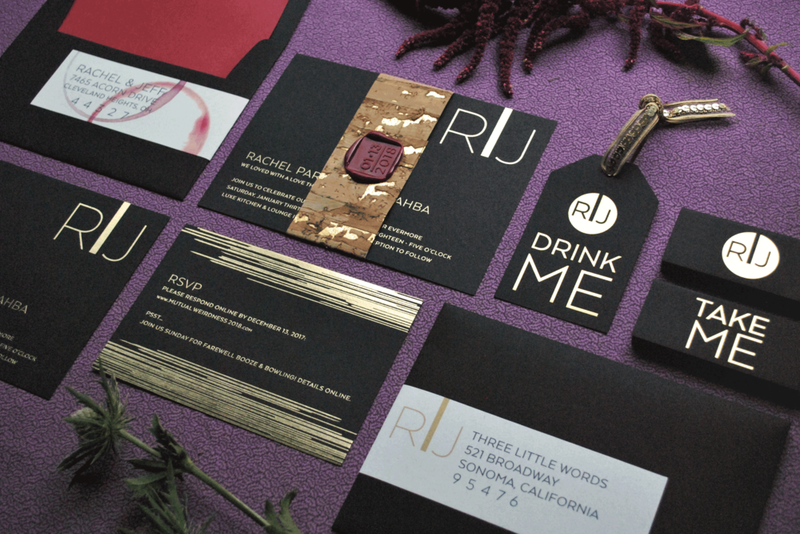 A burgundy wax seal held the cork in place and the look was completed with a shimmering oxblood envelope liner and wrap-around address label stained with wine. 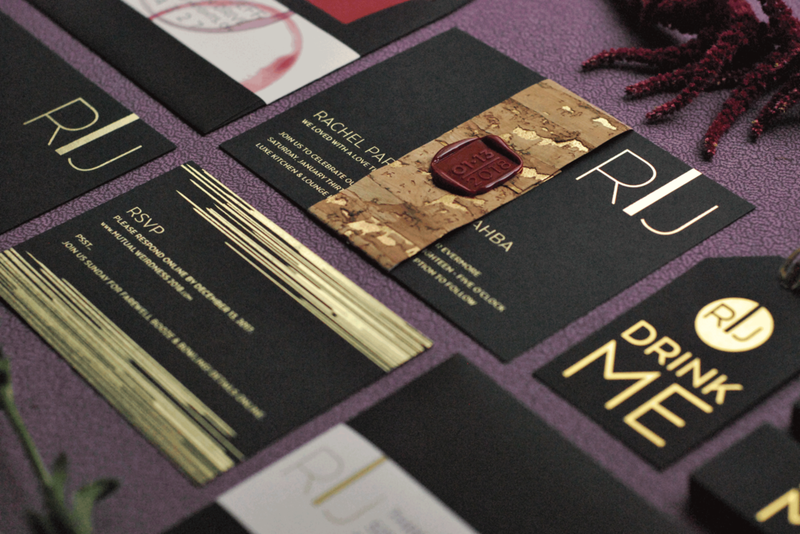 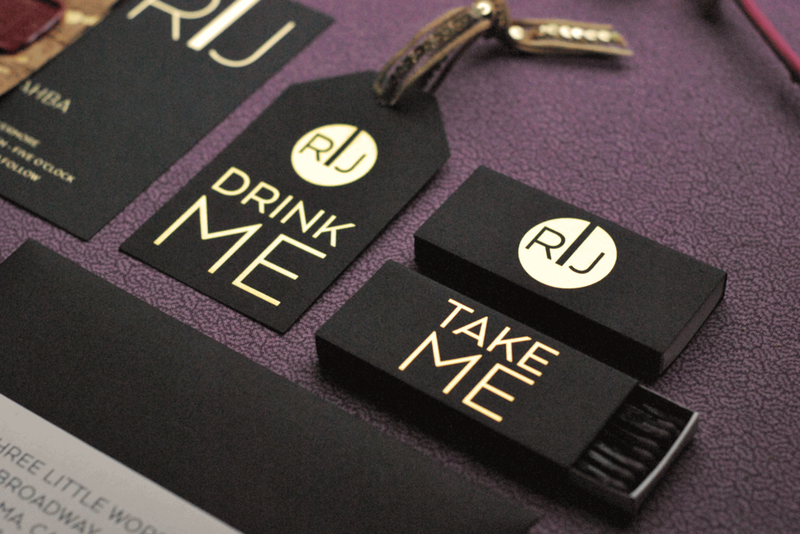 Also shown are a favor hang tag (for Champagne bottles) and cigar matches.